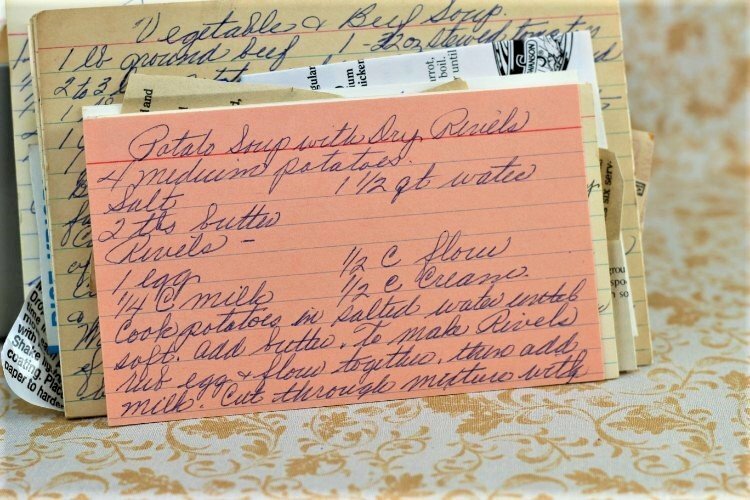 Front of the recipe card for Potato Soup with Dry Rivels. 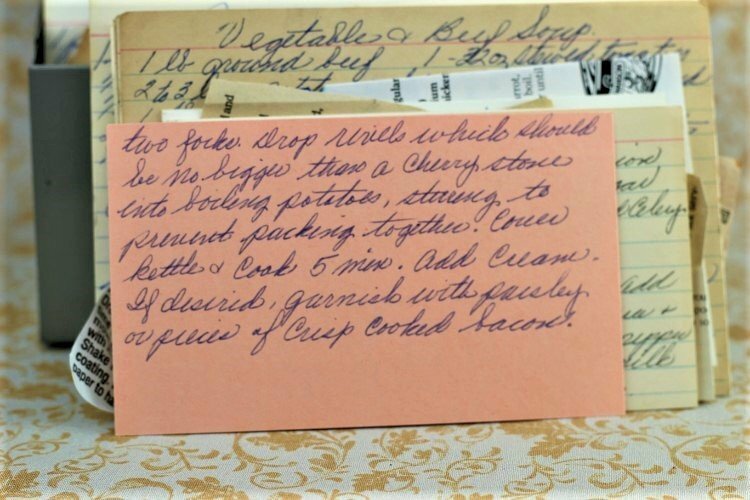 Back of the recipe card for Potato Soup with Dry Rivels. 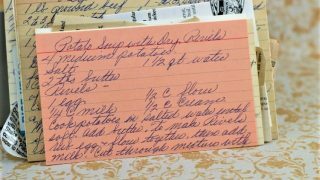 There are lots of fun recipes to read in the box this recipe for Potato Soup with Dry Rivels was with. Use the links below to view other recipes similar to this Potato Soup with Dry Rivels recipe. If you make this Potato Soup with Dry Perils recipe, please share your photos and comments below! Cook potatoes in salted water until soft. To make Rivels mix egg & flour together, then add milk. Cut through mixture with two forks. Drop rivels which should be no bigger than a cherry stone into boiling potatoes, stirring to prevent packing together. Cover kettle & cook 5 min. If desired, garnish with parsley or pieces of crisp cooked bacon.